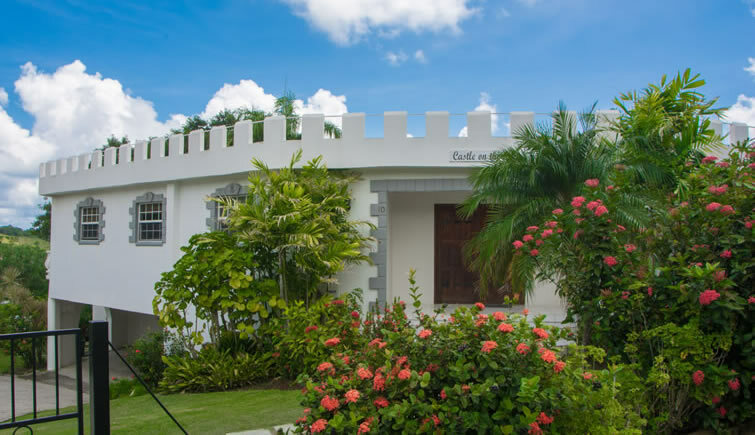 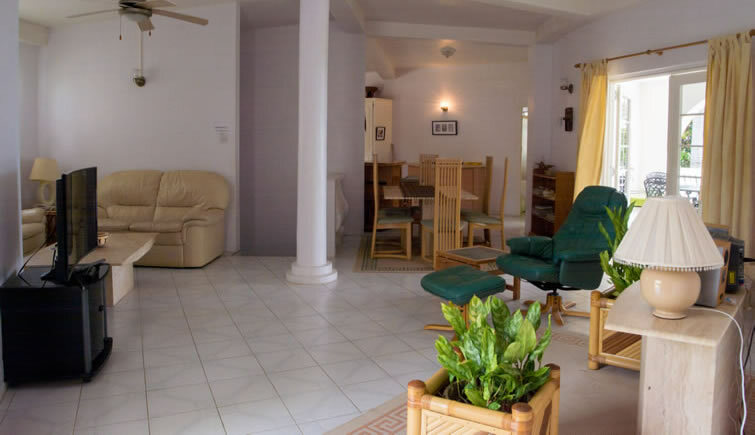 This is a very welcoming, charming and spacious self-contained 3 bedroom villa at Castles in Paradise Villa Resort. 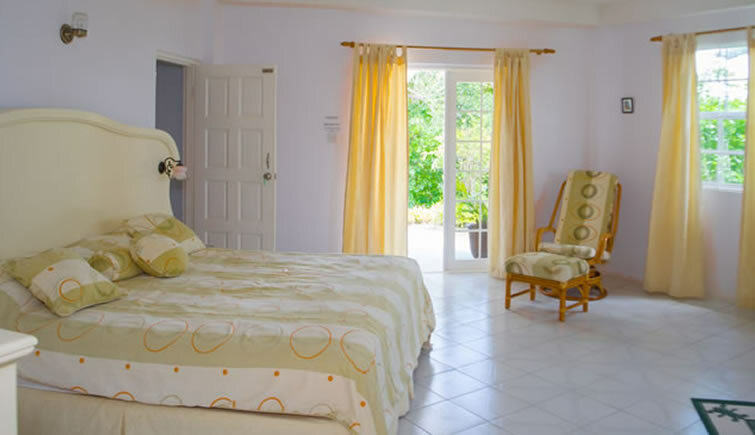 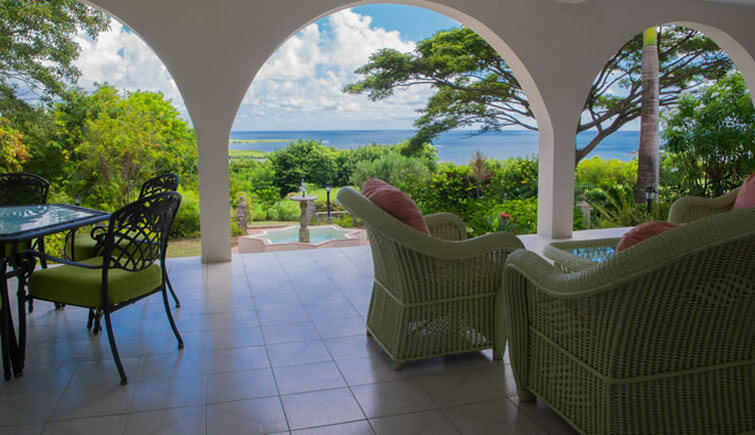 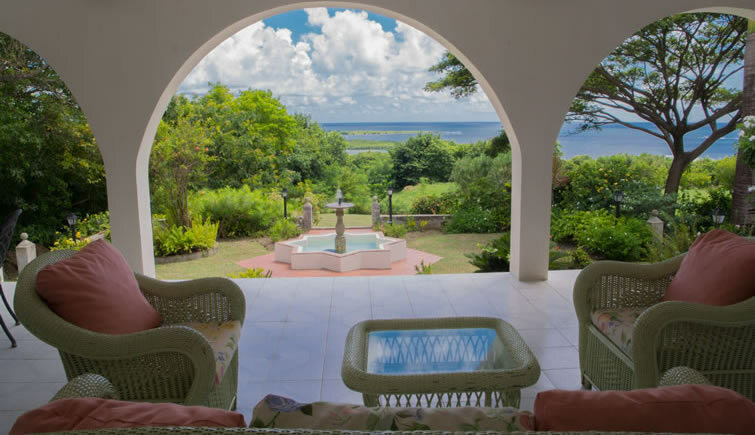 The villa features a living/dining room and fully equipped kitchen which lead out to a large covered terrace offering spectacular views of Savannes Bay, Honeymoon Bay and the Atlantic Ocean. 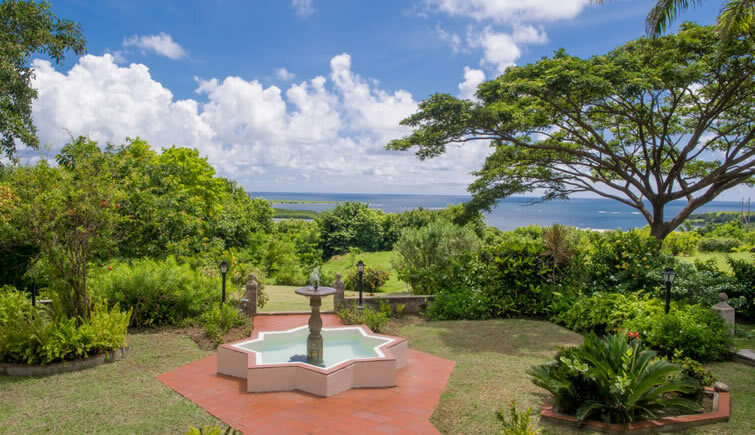 The terrace leads to a garden with a beautiful fountain. 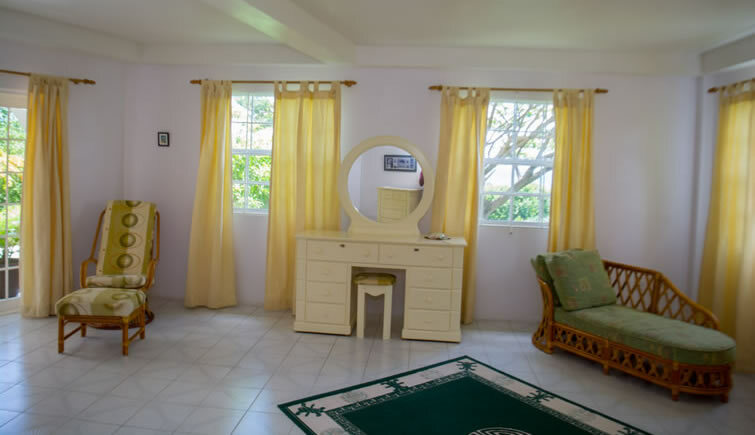 All bedrooms include their own en suite bathrooms. 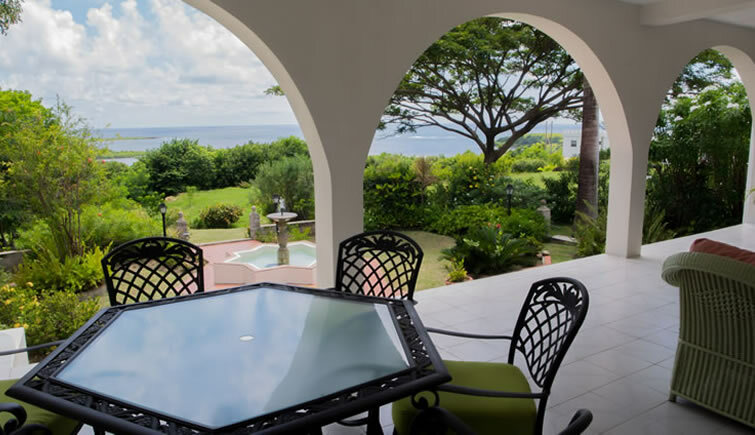 An expansive roof deck offers picturesque views. 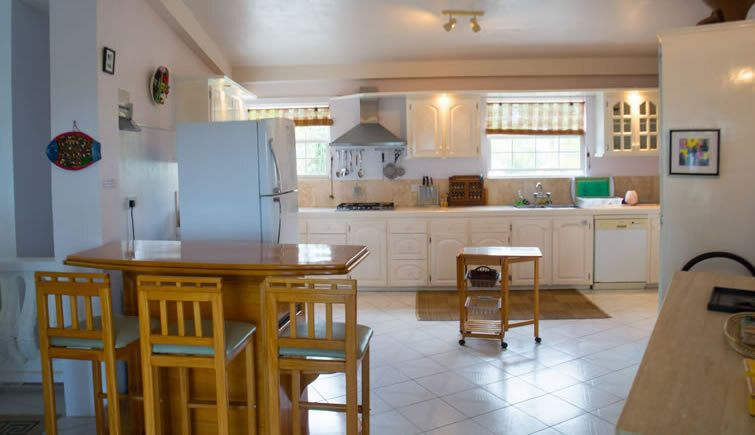 The villa also includes a laundry room and garage.